There’s nothing quite like being able to retreat to your quarters and feel like the king you are, whether you want to get away from it all and have some timeout to yourself or if you just want to immerse yourself in man’s most enjoyable sanctuary, the man cave. What goes into the making of the ultimate man cave though and what should go into your man cave? You can take some inspiration from some of the wickedest man caves I’ve seen in my life up to so far, which I’m going to describe to you right now. 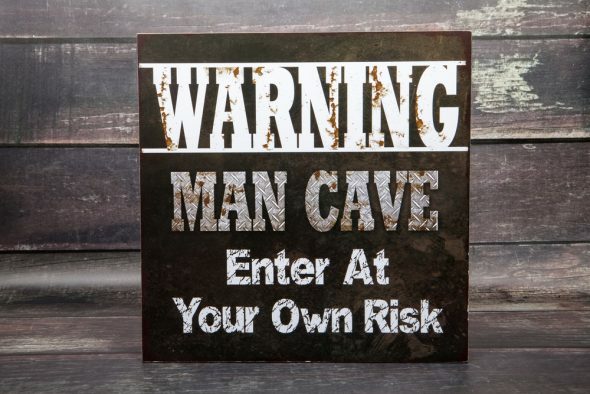 Ideally, the entrance to your man-cave would perhaps best be something akin to a real cave in that it has no door, but since you probably live with other people if you’re entertaining the prospect of a sanctuary to escape to then you want to have a physical barrier between you and everybody else in the house. So a nice and big, soundproof door will do, perhaps with soundproofing all around so that you can crank up the volume real high when the mood takes you and not bother anyone else in the house. As far as it goes with the entertainment with which to populate your man cave, the aim really is to be as aimless as possible. Hey, this is your sanctuary – your safe place in which your inner boy can come out, so you can go crazy and nobody will judge you. Some of the entertainment we’re talking about here would include the likes of those classic arcade games with which you should go all the way and get the original sized units. Heck, you can even get the coin operated ones for whenever some of your boys come over, you know, to sort of weed out the killjoys by making them help pay for the fun. These days it’s as easy as ordering one of these units online to have it delivered right to your door, some of which units can have up to three games in one programmed and more. A poker table will do as well, particularly one of those round ones which can double-up as a LAN point where everybody can plug their laptops in and extend the fun online with some online casino gaming or other types of gaming. At least two big screens are mandatory as well, and more if the budget allows. You need to be able to catch the footy from any angle. A pool table should top things off and some nice, comfy couches (beanbags are alright I guess). As far as the decor goes, anything that doesn’t make sense will do, like perhaps a “wall” surrounding the “VIP” section which is made up of those thick ropes they use in horse stables. Paint the wall proper with many different colours and don’t forget to add something that really jumps out, like glow-the-dark paint to complement old movie posters, posters of some classic cars and posters of your favourite sports stars.